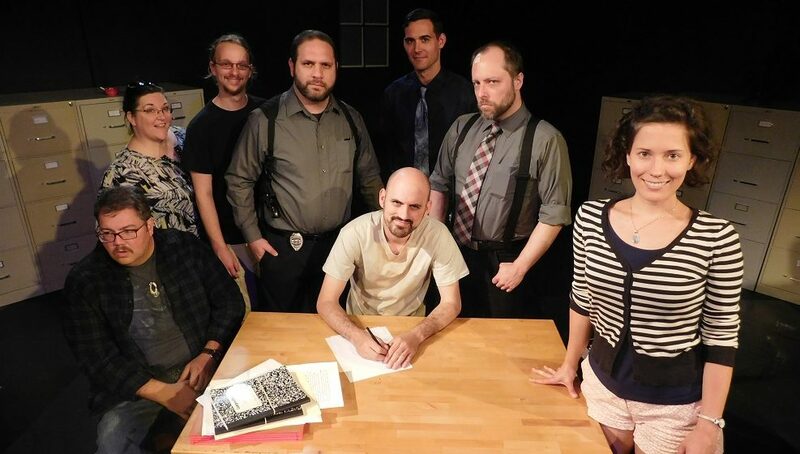 The Acrosstown Repertory Theatre’s new play is about a writer accused of horrific crimes against children. Did we mention that it’s a comedy? To prepare for his first leading role at the Acrosstown Repertory Theatre, Kennan Liston has been writing in a composition book and secluding himself in silence before rehearsals. Oh, and he also reflects on the more painful events of his life and what that would be like for his character. Does that tell you something about the character he inhabits? 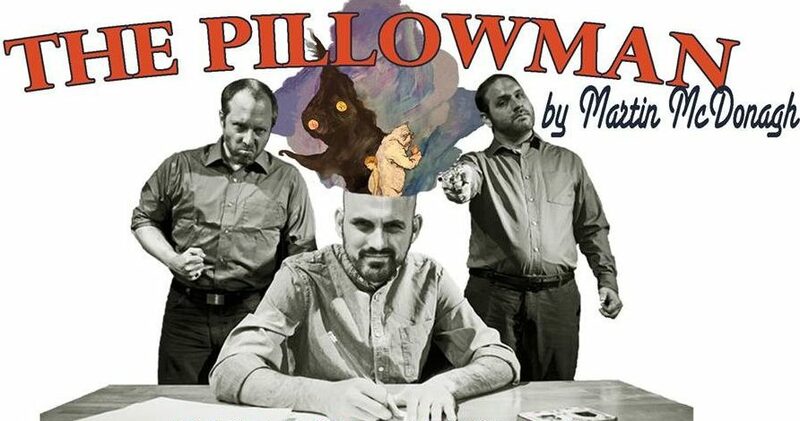 For the next three weeks, Liston will play tormented short-story writer Katurian, the protagonist in Martin McDonagh’s brutally dark comedy The Pillowman. The Pillowman has a preview performance tonight at 8 for $5. Opening night is Friday at 8. There will also be performances on Saturday at 8 p.m. and Sunday at 2 p.m. The play runs through May 8 at the Acrosstown Repertory Theatre, 619 S. Main St. (in the Baird Hardware complex). Liston’s character is under investigation following a series of child murders. It seems that the heinous crimes are eerily similar to stories Katurian has penned. 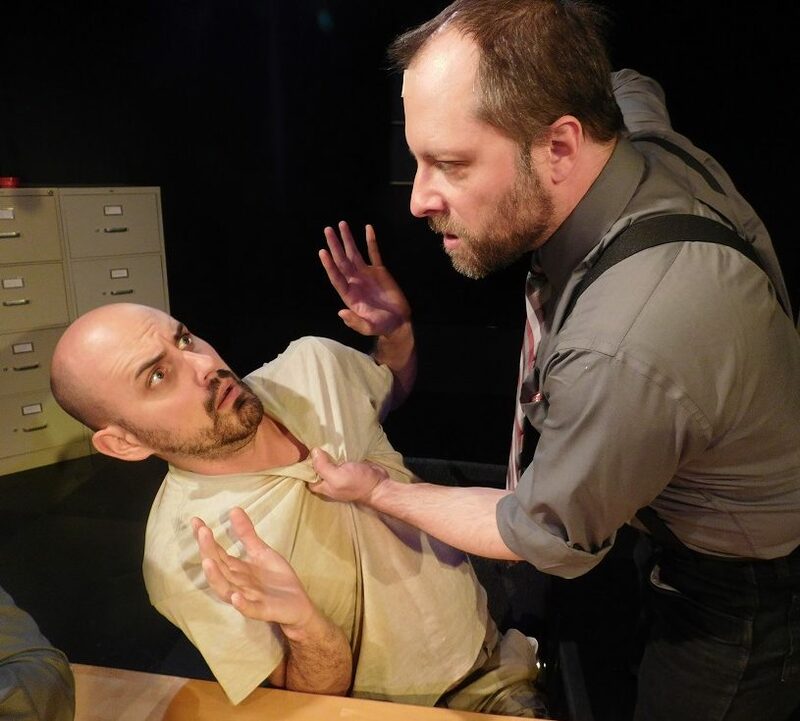 Good cop/bad cop detectives Tupolski (played by Michael Glover) and Ariel (Adam Lishawa) are determined to get to the truth, even if it means torturing Katurian into a confession. Complicating matters is Katurian’s brother, Michal (Bradley T. Hicks), a mentally disturbed man with blood on his hands. The Pillowman is a tension-filled play in which the audience is left to sort fact from fiction, good from evil. Lishawa, who showed his lighter side in the political farce Hometown Knights earlier this year at the Acrosstown, shows a sinister side as Ariel in The Pillowman. Last summer, in his Acrosstown acting debut, Liston played the role of Fabry in Rossum’s Universal Robots (R.U.R.). In that play, he performed with Heather Uuk, who is making her directorial debut with The Pillowman. Uuk, vice president of the Acrosstown Repertory Theatre’s board of directors, credits Glover for finding the play and Hicks for submitting it. The Pillowman was performed on Broadway in 2005 and starred Billy Crudup and Jeff Goldblum. 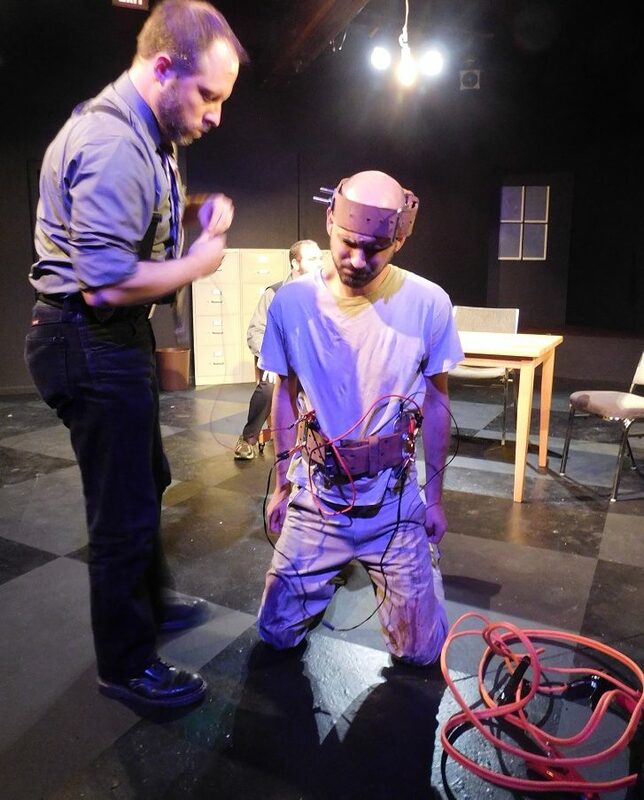 Interestingly, Uuk and Liston are both clinical behavioral specialists at Tachachale, positions that helped them better understand the complexities of The Pillowman. “One of the aspects of my job is to observe people and to figure out what’s going on in their head,” Uuk said. Hicks’ character, Michal, has a mental disability. His childlike ramblings in the first act make him both lovable and loathed, at least by his younger brother Katurian. Hicks, a history teacher at Williston Middle School, is an Acrosstown Theatre veteran both on and off the stage. His most recent role was last year in Chuck Lipsig’s Refinery. He directed Sherlock Holmes and the Suicide Club during the 2014-15 season. He’s also the set designer for The Pillowman. On Wednesday night, during the final rehearsal for the play, Hicks gave a moving performance as Michal in Act 1 then, during a break for intermission, had to test new wall clocks to find one with the loudest ticking sound for Act 2. “I love designing worlds for people to create stories,” he said. 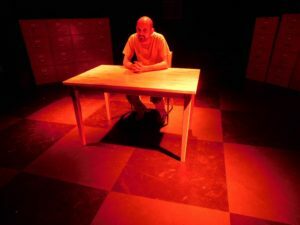 In The Pillowman, Hicks’ Mychal is locked in a jail cell with his brother, wanting Katurian to share some of the gruesome stories he wrote despite being intimately familiar with the not-so-happy endings. For tickets and other info, visit the Acrosstown Repertory Theatre website. Thanks for your support of A.R.T.